Healthcare Program Integrity & Benefit Payment Validations - WCC, LLC. Program Integrity is a process used by the Centers for Medicare and Medicaid Services (CMS) to prevent fraud and abuse in the Medicare and Medicaid programs through ongoing detection and investigation of fraudulent or abusive billing practices among healthcare providers. Similar healthcare program integrity processes are followed by other public and private health insurance entities including other Federal agency healthcare programs, state government Medicaid programs and commercial health insurance companies. The common goal amongst all these health insurance payers is to assure payments made in behalf of their enrollees are for services that were rendered as billed, and were medically reasonable and necessary for the treatment of the patient’s illness or injury. Through effective program integrity processes, healthcare expenditures are reduced through payment avoidance or recovery of overpayments, and the savings can be otherwise used to safeguard the health and welfare of enrollees and enhance the quality of care they receive. 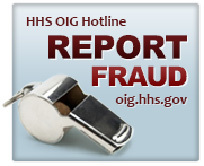 What Is Healthcare Fraud & Abuse? Simply put, fraud is billing for services not rendered or misrepresenting services rendered. Abuse is billing for services that were rendered but were not reasonable and medically necessary for treatment of the patient’s illness or injury. Healthcare abuse can adversely impact the health and safety of patients that receive medically inappropriate and/or excessive services and the providers of these services can also be exposed to criminal and civil liability. A company rich in proven techniques for medical review, claims quality assurance and fraud detection, WCC has retained subject matter experts and processes to mirror CMS’ multifaceted approach to program integrity and benefit payment validations. WCC provides service support across the three major components of Program Integrity including Medical Review of claim submissions against associated patient medical records to assure services billed represent services actually rendered, Data Analysis of paid claims to detect aberrancies and anomalies in provider billing patterns that could represent fraud or abuse and Investigations of providers suspected of fraudulent or abusive practices based on Medical Review or Data Analysis results. WCC currently provides Medicare/Medicaid claim medical and coding audits, Medicare/Medicaid claims data analysis and Medicare/Medicaid fraud investigations as well as related IT systems security and network engineering support to CMS Unified Program Integrity Contractors (UPICs) and CMS Zone Program Integrity Contractors (ZPICs). Medical Review services were also previously provided to CMS Medicare Administrative Contractors (MACs). WCC’s Medical Records Review and Coding Validation services bring critical value to our client’s healthcare payment oversight programs. Addressing improper payments in Federal, state and commercial health insurance programs and promoting compliance with each program’s coverage policies, coding rules and reimbursement guidelines is our top priority. Our physicians, registered nurses, certified coders and other healthcare professionals are experienced in conducting healthcare claim and medical records reviews in support of healthcare payer program integrity and payment validation efforts. The reviews are conducted to assure that services billed accurately reflect services rendered in the medical records and that the services were medically necessary and appropriate, and paid in accordance with the payer’s coverage and reimbursement policies. Our staff specializes across all healthcare disciplines to perform medical records review and to support identification of potential fraud or abuse. WCC’s Statisticians and Data Analysts have specific expertise and experience in healthcare claims sampling, data mining and statistical data analysis. Our Data Analysis team uses sampling and data analysis techniques specifically designed to detect aberrancies in Medicare, Medicaid and other healthcare insurer paid claim data bases. These databases data are sampled and analyzed to identify anomalies in provider billing patterns that could represent potential fraudulent or abusive billing practices. Our statisticians and data analysts are versed in working with healthcare data in the SQL environment and have experience working with SAS and other Data Analysis software applications to develop and run algorithms that have been successful in identifying potential abusive billing practices and improper payments. Our Data Analysis team also works with the client medical review staff to support both statistically valid and focused claim samples and for identifying overpayments based on medical review findings. Our Data Analysis also work with client investigative units to provide proactive fraud detection services and to respond to requests for data to support ongoing investigations including requests from federal and state law enforcement agencies. WCC’s staff of experienced Program Integrity Analysts and Investigators are skilled in performing in-depth investigations of potential fraud and abuse against healthcare programs. Recommendation and preparation of cases for referral to Federal and state law enforcement for consideration and initiation of civil or criminal prosecution. WCC provides a team of subject matter experts – from forensic computer analysts, licensed physicians, case managers, registered nurses, program integrity analyst, certified professional medical coders, experienced Medicare/Medicaid data analysts and scientists, statisticians, to quality assurance analysts and certified fraud investigators.